Home / Books / Gardening / Don't Throw It, Grow It! You can't recycle organics, only paper, plastic, and glass -- or can you? "Don't Throw It, Grow It! 68 Windowsill Plants from Kitchen Scraps" is a novel but effective guide to turning ordinary household organic garbage into a thriving personal garden. "Don't Throw It, Grow It!" promotes the ability to take the remains of countless vegetables and nuts such as almonds, celery, kiwis, squash, and others, plant them, and grow them once more into food. The veggies can then be consumed again, repeating the cycle anew. A conservationist's manual of efficiency, "Don't Throw It, Grow It!" is highly recommended for community library gardening collections. 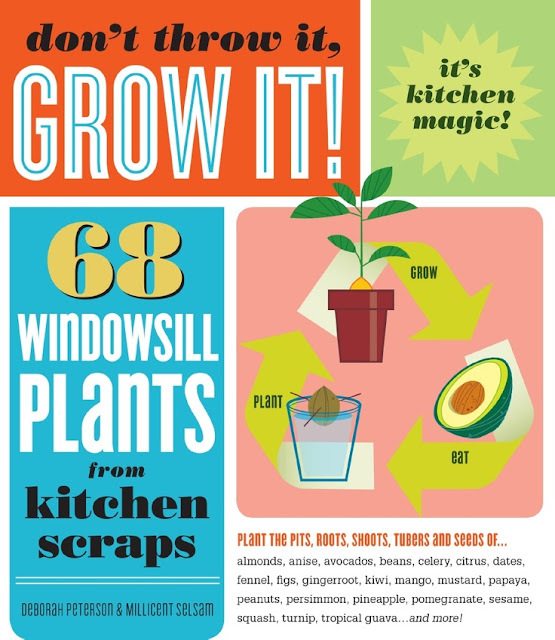 Here is a selection of pages from the book Don't Throw It, Grow It! by Deborah Peterson and published by Storey. Available at AMAZON.